Blowout Sale! Save 61% on the Kings Brand Furniture 7-Leg Heavy Duty Metal Queen Size Bed Frame with Center Support and Glides Only by Kings Brand Furniture at Global Supplies Express. MPN: B9005-Q. Hurry! Limited time offer. Offer valid only while supplies last. 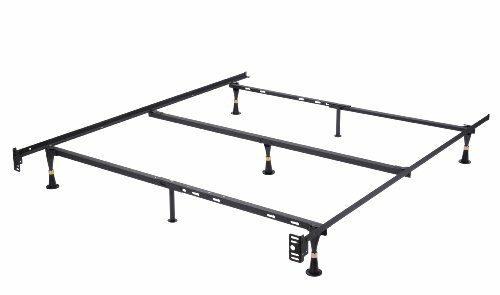 7-Leg Heavy Duty Metal Queen Size Bed Frame with Center Support and Glides Only. Bed frame with glides are recommended for wood, tile, and other hard surface floors. Ultimate in strength and durability, quality and structure. Easy Assembly in Less than 10 Minutes. No Additional Tools Required.